Columbia College of Physicians and Surgeons alumna Dr. Susan Turner completed her residency training at the Columbia Presbyterian and New York State Psychiatric Institute where she served as chief resident. She has since worked for the Columbia Presbyterian Day Treatment Program and the Columbia Presbyterian Hospital as a psychiatrist. During her free time, Dr. Susan Turner enjoys reading, and says her favorite book is To Kill a Mockingbird. 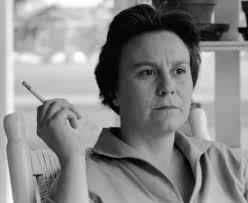 Deemed as an astonishing phenomenon by several public figures and authors at the time of its release, Harper Lee’s To Kill a Mockingbird is now considered a classic in the pantheon of modern American novels. The Pulitzer Prize-winning novel was notable for being able to shed light on issues such as racial injustice at a time when it was still considered taboo, especially in the South. Mainly a courtroom drama, the novel was praised for its portrayal of the legal profession. While Lee wasn’t a lawyer herself (in fact, she attended law school but eventually dropped out), she was able to capture the atmosphere of a courtroom because she practically grew up in one. Lee’s father, A.C. Lee, was a lawyer who would frequently bring her to the Monroeville courthouse in his trials. A.C. Lee has been compared to the novel’s protagonist, Atticus Finch, as both men served as defense attorneys for African-American men who were accused of heinous crimes.